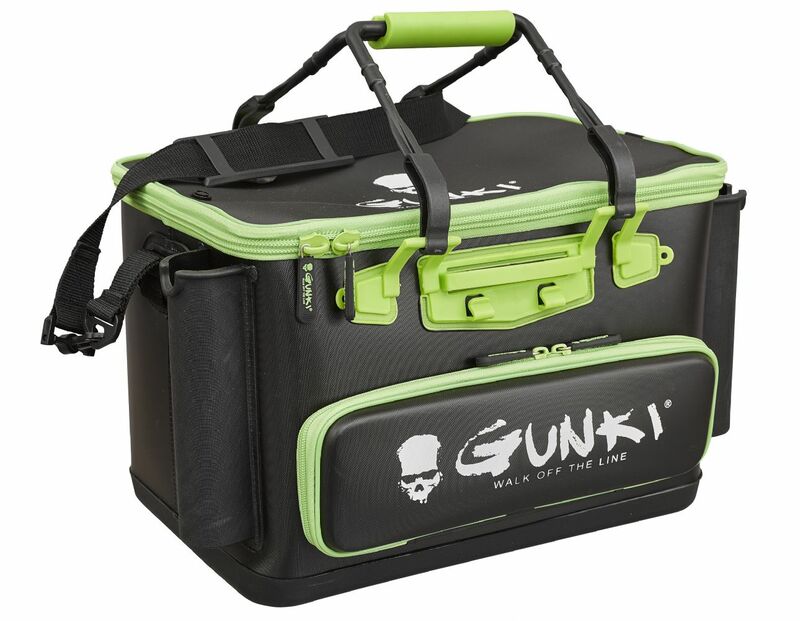 Gunki Safe Bag Edge 40 Hard is a tough waterproof and rot-proof safe bag made from 2mm thick EVA. The cover / lid doubles up as a table top working patform which feratures an overhanging rim that protects the inside of the bag from any rain or spray without having to close the zip. The Gunki Safe Bag Edge has a comfort snap lock handle, rod support and clip, easy access to the sides and a removable shoulder strap which is great for boats and kayaks where it can be a trip hazard.